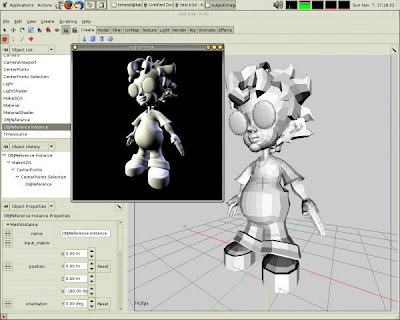 K-3D is the free-as-in-freedom 3D modeling, animation, and rendering system. K-3D features a robust, object-oriented plugin architecture, designed to scale to the needs of professional artists, and is designed from-the-ground-up to generate motion-picture-quality animation using RenderMan-compliant render engines. We strongly recommend the Aqsis render engine for use with K-3D. K-3D´s innovative interactive tutorial system will introduce you to basic use of the program. New tutorials can easily be recorded and shared with the rest of the community.